This week I discovered R&D tax credits and I say “praise the Lord, may the Lord have mercy on my cash flow”. Well, this is turning into a cracking good news story. For years now my clever colleague, Mark, has been muttering about R&D tax credits and how he had to do battle with both his accountant and the HMRC to get what his micro company deserved. 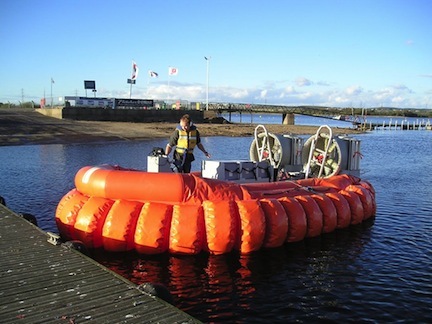 Mark is the designer and inventor of the great boat project I mentioned in my last blog. 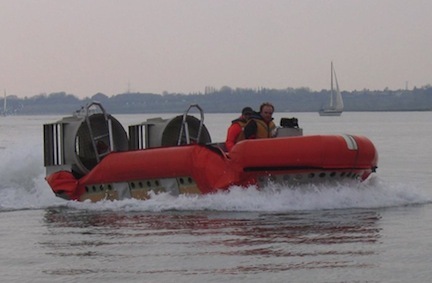 I can now reveal that its secret is that it can turn from a Rigid Inflatable Boat (RIB) into a Hovercraft at the pull of a lever. It is the only one in the world and myself and other colleagues hope to take it to production with him, stay tuned. He has developed this craft on a shoe string which is why it has taken years and why his R&D tax credits were both vital and meagre (do you ever wonder if the “authorities” realise that amazing things happen on the back of tiny sums of money, by tiny groups of people with passion, flair and ability, and do they realise why these people have to learn to fight for every penny). Mark’s story of getting about £3k each year from the HMRC at a cost of hours and days of battle put me off for years, but this week I learnt: I was well wrong. The aim of the stainless steel lattice was to minimise visual impact by being open and reflective of the sky around it, and to occasionally chuckle a red glowing laugh at dawn or dusk. 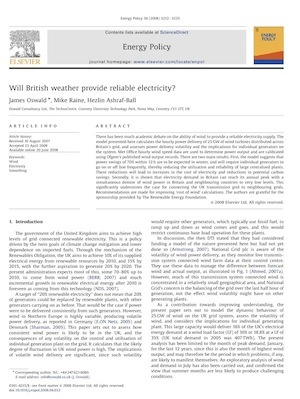 And here is a picture of our wind paper (Will British weather provide reliable electricity?, ref Elsevier, Energy Policy 36 (2008) 3212– 3225) which gets referenced all over the world for its explanation of how wind power destabilises grid balance and increases carbon emissions for the rest of the system (pity no one cares?). 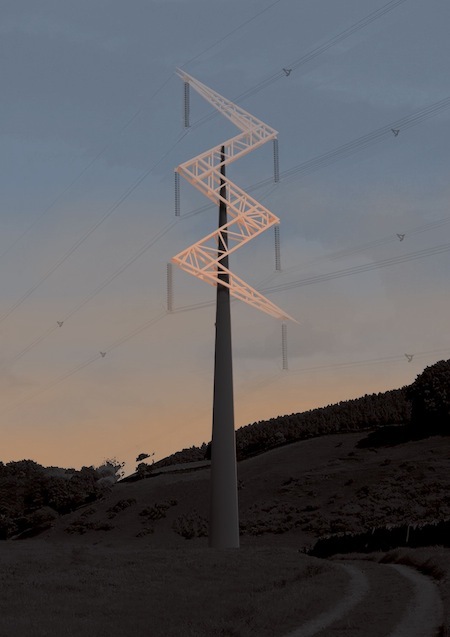 Will British weather provide reliable electricity? It now seems that through R&D tax credits that any work we do for large clients can both earn us not only their fee, but also relief of tax from her lovely majesty’s revenue and customs, (HLMRC). I find it almost too exciting and amazing to explain, but let me try. Extraordinarily its actually really wise legislation, once you get the hang of it, it’s the right thing to do! The Large R&D scheme, which is aimed at large companies, but if you are an SME and you are doing their research for them and it is applicable to your core trade then you get the relief for the work they are paying you for. For example, we help people design heat exchangers and have recently been paid by a large company to push the boundaries of know how in heat exchanger design. Let’s say they paid us £10k for the work and we had justifiable costs under the relief rules of £7k then we can claim 30% of this £7k from our CT bill. At 23% the HLMRC send us cash of £690. Fancy! This week I phoned the R&D tax support line in Leicester and received some fantastic help (I know, its unbelievable, a tax man trying to help you get money back, who would have thought). I tested my knowledge to see if I had got it, and got back another yes! (30,000 * 0.65) + (50,000) = £ 69,500 reduction in our CT bill, which at 23% is £15,985 cash from the tax man. Our own accountant has always been discouraging about claiming R&D relief, but accountants are not to know what is research and what is not. I think it is down to you, the researcher/ engineer to know what is new research, you have to do the tax claim yourself. We have been doing qualifying research for years, but only now recognised this tax break. Sadly, the rules only allow a business to back date two years of claims, otherwise we would be in clover, but it is fantastic news and means that for this month we are going to make more money out of the tax man, than out any customer. Now why didn’t I think of that earlier? And if anyone leaves a reply asking for more details, I will try and post some of the proformas we intend to develop which you might find helpful in making your own R&D tax claim. “The Generation Game” – Can we Borrow Your Fridge? Gas Turbine Failure Investigation course. Kuala Lumpur, August 2014.